Rocky Point Ice Cream at 2800 Murray Street at Rocky Point Park in Port Moody. The sorbet had a nice berry flavour that tasted real and wasn’t overly sweet. They have a wide selection of flavours ranging from fruity to chocolate and they even have vegan ice cream available. They don’t have much seating available so you should plan to go eat your ice cream in the park. 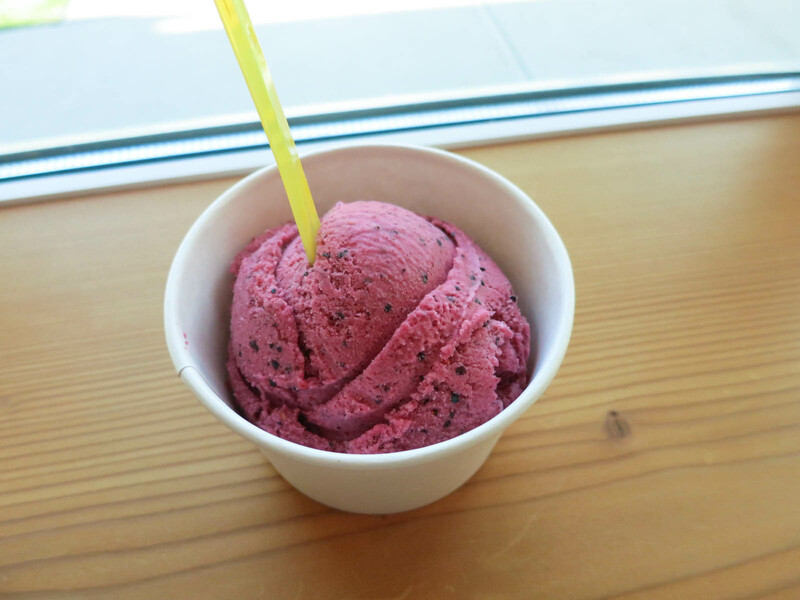 The ice cream isn’t quite on the same epic level as Ernest, Rain or Shine, or Soft Peaks, but it is definitely much better than your average place and can save you a trip downtown. Rocky Point Ice Cream is a cute little ice cream shop in a great location.